Our laboratories are equipped with and collaborate to use all current cutting edge technologies available to study placental biology and physiology in great depth. 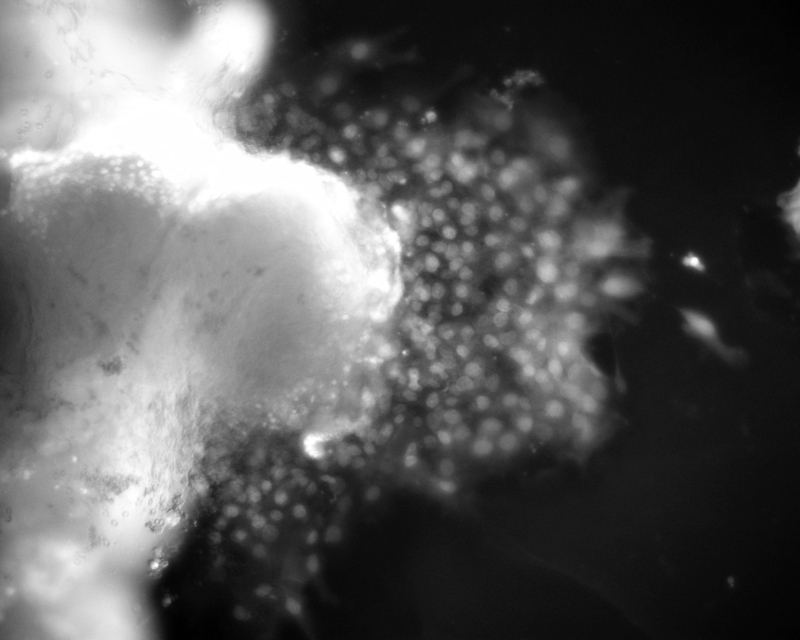 We use various tissue and cell based models to mimic disease and explore treatment options in vitro. 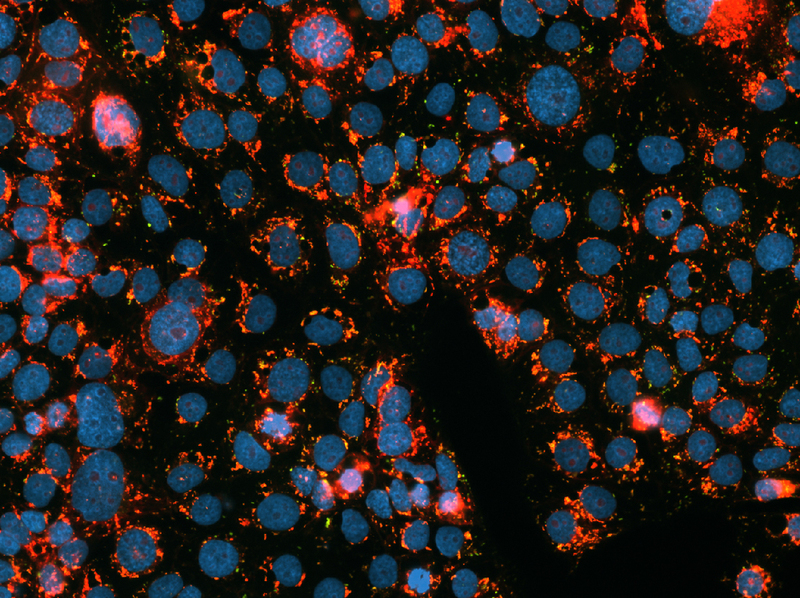 Cells were stained for Actin (green) and DNA in the nuclei (blue) using fluorescent antibody labeling and Hoechst Dye (DAPI). Invasive ability of trophoblast cells is an important physiological feature and restricted in abnormal placentation. Placental tissue was stained (green) for Ki67 a proliferation marker. 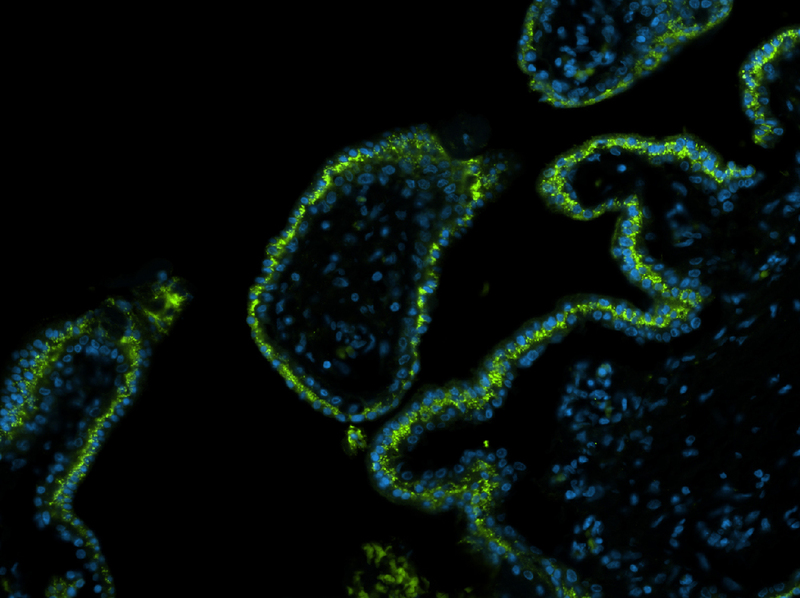 Placental tissue was stained for a marker of the syncytio-trophoblast layer (green) PSG1. Nuclei were stained with DAPI (blue). Damage of tissue and cells by reactive oxygen species has been shown in preeclamptic tissues. We use models to mimic this effect in vitro.